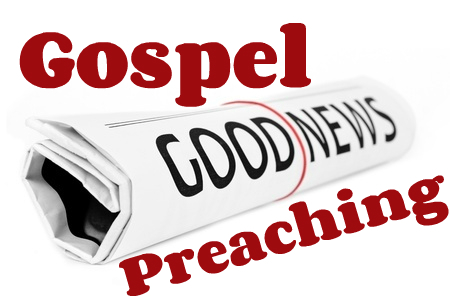 So how do we preach the gospel to believers? Or even, do we? I grew up in a church setting where there was a great chasm between the Sunday evening gospel service (an ABC’s presentation of the gospel and how to become a Christian) and the midweek believers Bible study (often a gospel-less teaching of some biblical section). We naturally divide gospel from teaching and consequently end up with a view that the gospel is for newcomers, while a different message is needed for spiritual maturity. With the different message often comes an apparent contradiction. Now you are saved by grace, here’s the work list for you to do. Your growth is up to you. Work hard now. Get your pen and paper because I have a to do list for you this week. It is different than the gospel, but that is okay because you have now graduated from needing the gospel service to needing training in the believer’s service. The glorious indicatives of Paul’s letters now give way to the pressure of the imperatives as believers need to buck their ideas up and press on to maturity. The tension over sanctification is not one that started brewing three years ago. It was a debate a generation ago under different labels than it is today. It has been a debate between preachers for generations. It was an issue during key moments in previous centuries, a point of division after the Reformation, a disagreement at the start of the second millennium and a source of disagreement right back in Augustine’s day. Actually, it was an issue as the New Testament was being written. There is a third motor that perhaps in some Christian congregations or communities has not been preached found in Hebrews Chapter 6. Interestingly, here the writer begins this Chapter in the Amplified Bible with “Therefore” that directs us with a prerequisite word, topic and cross reference study of Hebrews Chapters One through Five of the foundation of repentance; abandonment of dead works; faith (referring to saving faith); purifying, laying on of hands; resurrection from the dead; and judgment and punishment. Then continue thoroughly studying Hebrews Chapters 6-13 in like manner to “go I believe will cross reference Genesis through Revelation to lead us onward toward spiritual maturity! Will you and others join me in such discourse toward the growth and edification of the church for the glory of God? He seems to believe that you tailor your preaching to your audience. How can we use that same principle in today’s churches?